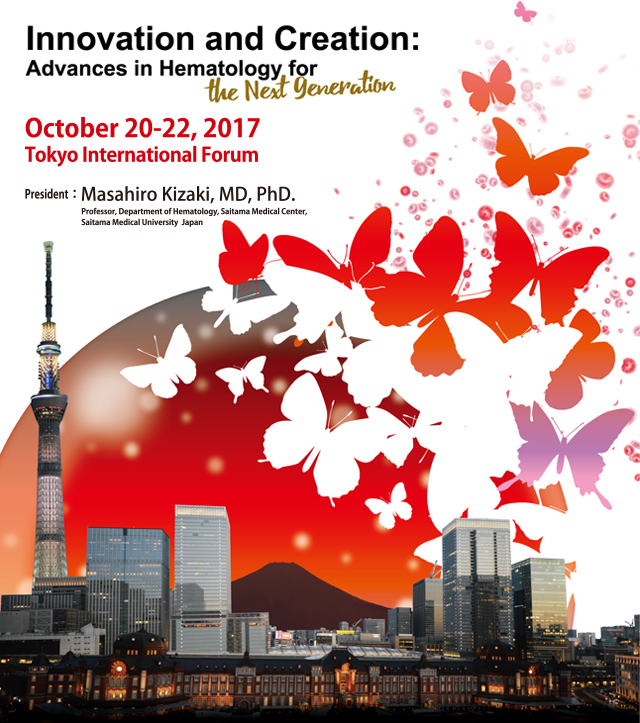 The 79th Annual Meeting of the Japanese Society of Hematology welcomed more than 6,800 participants, and ended with great success. We would like to express our sincere gratitude to all participants and to the people concerned for their warm support. Invited Speakers page has been updated. Program, General Information for Participants, Venue page has been updated. Program page has been updated. Accommodation page has been updated. Abstract submission has been closed. The deadline of Call for Abstract has been extended to Tuesday, April 11th, 2017. Call for Abstract / Travel Award have been updated. Copyright © The 79th Annual Meeting of the Japanese Society of Hematology All Rights Reserved.